A derelict former canal office in Birmingham is to be brought back to life as a new venue to showcase art in the city. 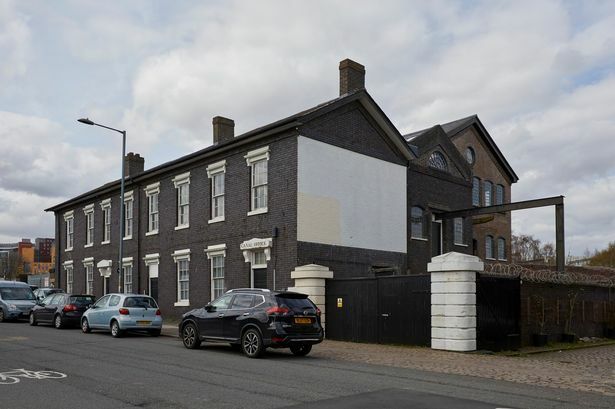 Gallery and art studio complex Grand Union is working with Homes England to give the Grade II-listed Junction Works building in Fazeley Street, Digbeth, a new lease of life. The aim is to create a new contemporary art gallery and set of studios for artists. Junction Works, which dates back to the mid-19th century, is located at the junction of the Grand Union and Digbeth Branch canals and has also served as a boxing gym and café. But it has been empty for several years after suffering fire damage in 2004. The three-year project is expected to cost £3.25 million and has already received £25,000 from the Architectural Heritage Fund and £150,000 from Esmée Fairbairn Foundation. Public Artist, a company established to explore and develop connections between artists, arts organisations and the property industry, is providing development and project management advice. Grand Union, based in Minerva Works also in Fazeley Street, opened in 2010 with the aim of providing affordable work space for artists and a public gallery to host contemporary art and supporting artists at pivotal points in their careers. It plans to move to Junction Works once the renovation is complete and secure a 100-year lease on the property to give it a more sustainable and secure future. Director Cheryl Jones said: "This is an extremely exciting and timely opportunity for Grand Union to put down firm roots in Digbeth. "We will create a world-class facility that enables us to support many more artists in the city and a welcoming gallery where you can encounter some of the most interesting contemporary art being created in the UK today. "Part of our programme will see renowned artists working alongside local people to find innovative ways of bringing the heritage of this important conservation area to life." Karl Tupling, general manager for the Midlands for Homes England, added: "We are pleased to be able to play a part in bringing this important listed building back into use. "The Digbeth area of Birmingham is undergoing a transformation, with the investment in the HS2 Curzon Street station and wider redevelopment in the area that will see a mix of employment, retail and leisure development in the area, alongside infrastructure and new homes." Three public consultation events are being held next month to showcase designs for the project ahead of a planning application being lodged with Birmingham City Council. They are being held from 12pm to 3pm on May 2 at The Custard Factory in Digbeth and at Millennium Point on May 4 and 5 from 12pm to 2pm.